Growing Conditions: Sun or part sun. Ordinary garden soil. Wildlife benefits: Host plant for caterpillars of Black Swallowtail butterflies. Similar species: This is NOT the invasive weed called Wild Parsnip, which also has yellow umbel flowers. 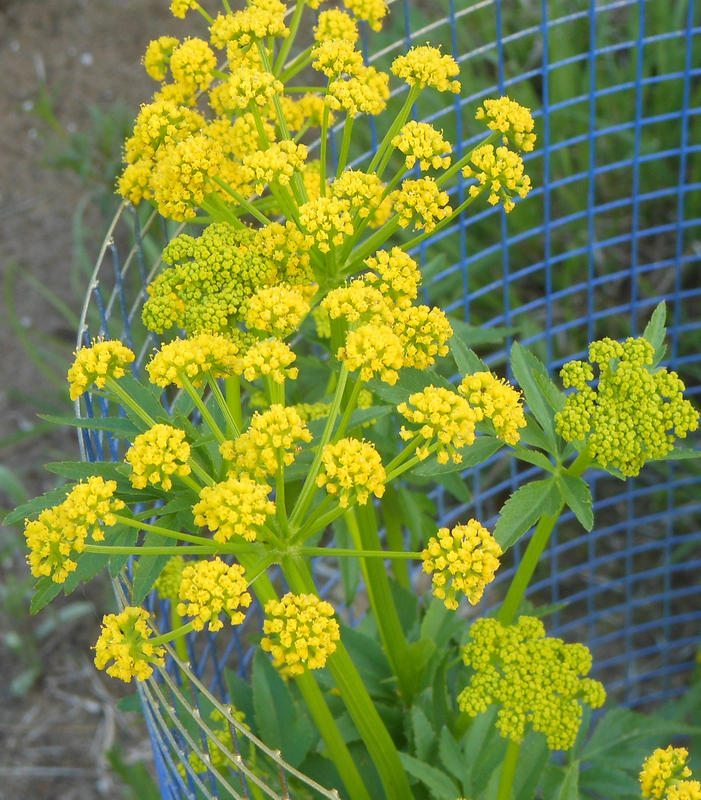 Golden Alexanders is a genuinely native plant which is a desirable species in meadows and butterfly gardens.